The general terms and conditions of sale detailed below, govern the contractual relations between the user of the website www.tellus-watches.com (hereafter referred to as the User or You) and the trade name Tellus watches, belonging to the company HEXAGONE SA with a capital of 600 000 Euros (hereafter referred to as We or Tellus), whose headquarter is located at 38 Allée de l’Ermitage 93340 LE RAINCY, FRANCE and is registered with the Registre du Commerce et des Sociétés de Bobigny (the Register of Commerce and Companies of Bobigny) under the number 482 097 037 00014. These general terms and conditions of sale are the only ones applicable, and replace all other conditions, unless otherwise previously agreed to in writing. Tellus reserves the right to modify these terms and conditions at its discretion; therefore you should re-read them each time you visit tellus-watches.com (hereafter referred to as The Website). You may object to these modifications when they are published online. The modifications do not apply to previously agreed contracts. Each sale on the Website is governed by the general terms and conditions applicable on the date of the order. We understand that by confirming your order, you have read and unreservedly agreed to our general terms and conditions of sale, as well as the Conditions of Use herein. 1.1 - The prices of our products are shown in (EUR/USD/GBP) EURO/US DOLLARS/POUND STERLING and include all taxes, excluding the cost of processing and delivery charges. 1.2 - In the event that an order is shipped to a region outside of France metropolitan, eventual payment of customs charges or local taxes will be the responsibility of the recipient. 1.3 - All orders, regardless of the country of origin of order, must be paid in EUR/USD/GBP (€/$/£). 1.4 - Tellus reserves the right to modify the prices of its products at any time; however, the products will be charged based upon the rates in effect at the time of registering your order, and subject to availability. 1.5 - The products remain the property of Tellus until payment is made in full. 1.6 - Unless otherwise stated, different discount coupons cannot be combined as one for an order. 2.1 - Customers can place their orders online via the website www.tellus-watches.comor by telephone from Monday to Friday 9am* to 6pm* on: +33 1 85 08 14 57. Our sales team speaks fluent English. 2.2 - Tellus reserves the right to cancel or decline the order of any customer with whom there are any disputes regarding payments of prior orders, or which would represent a risk. 2.3 - Any contract entered into with the customer will be archived on the site www.tellus-watches.comfor a period of one year. The customer can access such archived contracts via their account on the website. 2.4 - All orders placed imply acceptance of prices and description of products available for sale. 2.5 – Tellus agrees to fulfill all the received orders contingent upon the availability of its products in stock. 3.1 - You acknowledge having read and accepted these Terms and Conditions before placing your order. Therefore, the checkout process ensures acceptance of these Terms and Conditions. 3.2 - Unless proven otherwise, the data recorded by Tellus constitutes proof of all the transactions placed between Tellus and its customers. 3.3 - The contract shall, in accordance with the provisions of the French Civil Code, be concluded by the clicking on the “Next” button after the acceptance of the general terms and conditions, whereby you have confirmed your shopping cart after you have made corrections (if any). 3.4 - For all orders requiring payments made by transfer, they will remain valid for 5 consecutive business days from the date of order. If the transfer is not received within this period, the order will be cancelled. 4.1 - The product offers and prices visible on the site are valid if they are available in stock. 4.2 - In the event of unavailability of all or part of an order, you will be notified by email. Your order will automatically be cancelled. In case your account has been debited, a corresponding refund will be made by crediting your account within 20 business days of receipt of payment. 5.1 - Tellus offers free shipping to its customers via Lettre Max or So Colissimo within France metropolitan, and paque Prio for overseas customers, if the total amount of the order is greater than or equal to 69 € (excluding cart offers and other ancillary services). The shipping charges will be shown in the “Summary” during the ordering process. 5.2 - Delivery is charged € 5 if the order contains an item on sale or promotion. 5.3 - The products are delivered to the address specified by the customer during the ordering process. Tellus cannot be held responsible for late delivery or non-delivery in cases where the customer has not indicated a complete and correct delivery address. 5.4 - The average time observed between ordering and receiving the package by the customer is 2 to 5 business days, except in cases of bad weather or crisis. 5.5 - For payments made by credit card: The delivery time is about 2 business days. The indicated time is an average and corresponds to the processing and delivery of products to France metropolitan. 5.6 - The processing time of orders where payments are made by bank transfer is longer – expect a delay of 2 to 7 additional business days from the initial delivery date. To receive your order fast, we recommend you pay by credit card. 5.7 - Upon receipt of your order, we recommend you to verify your order in the presence of the delivery person. Your complaint is admissible only if it is mentioned in writing at the time you receive your package. We recommend that you inform Tellus of any defects or anomalies as soon as possible. 5.8 – In the event that your parcel can not be delivered at given address, the carrier reserves the right to place your package in the nearest pick-up point. Tellus cannot be held responsible for filing a relay point. - Via PAYPAL if the amount of the order is less than 300 €. - By Online CyberPlus Payment (BanquePopulaire) payment module. Consistent with our commitment to ensure payment security, we inform you that Tellus verifies the reliability of information entered when registering an order through its partnership with Cyber​​Plus payment. This approach is part of our effort to fight internet frauds, and thus our commitment to protect all consumers. Therefore, Cyber ​​Plus payment may ask you, in some cases, for additional information (such as copy of ID, proof of address,...) to validate your purchase. To ensure that your order is shipped on time, we recommend that you provide a telephone number where you can be easily reached, and confirm the information entered. If you want to avoid having to send us such information, we recommend that you make a payment by bank transfer. We have adopted the 3D Secure protocol Banque Populaire to protect most effectively all sensitive data related to payment. www.tellus-watches.com has taken action against fraud in collaboration with the Banque Populaire, in order to protect its customers from any fraudulent use of their credit card. When making your payment online, you may be redirected to enter in a security code which will be sent to you by your bank. In practice, this means that when you enter your card number, expiry date and security code, you might be redirected to your bank’s web site, which could require additional information. Different banks have different authentication methods. Pursuant to the French consumer rights Code Article L. 121-20, the customer has a right of withdrawal which can be practiced without any justifications, within fourteen (14) calendar days after receipt of goods ordered. Products returned incomplete, damaged, scratched, soiled or dirtied by the customer will not be refunded. Return costs and risks are borne by the client. It is therefore advisable that the products are returned by registered mail or by any other means with a proof of this return. Unless the client wanted a product exchange, refund of the full price charged (initial delivery costs included) of the returned products will be made by crediting the account of the customer within fourteen days following the date on which the right of withdrawal has been exercised. However, in case of a partial exercise of the right of withdrawal on only part of an order containing multiple products, Tellus will not refund shipping costs initially billed to the customer. Exchanges are accepted within the limit of stocks availability only for the same model in a different color and an equivalent amount or in the case of non-conformity of the product of our own making. In the case of an exchange, the delivery cost is offered by Tellus. Pursuant to the French consumer rights code Art. L. 121-20-2, the right of withdrawal may not be exercised for products which have been designed or clearly personalized to the customer’s specifications (special fittings other than the sizes indicated on the website, engraving, cutting or any other personalization). Therefore, we will not accept any returns for personalized products. We advise you to carefully check your order before confirmation. You cannot cancel such orders once they are confirmed. Standard shipment is effected by Letter Max or So Colissimo, an average delivery time is estimated as forty-eight (48) hours. This time is given for information only and is not binding. Express shipment The estimated average delivery time for TNT is 24 to 48 hours from the time the product leaves the warehouse. This time is given for information only and is not binding. Any possible overrun in the delivery time will not entitle the customer to compensation, discounts or cancelation of the order. In the event that the delivery is delayed beyond the initial fixed date, the buyer should inform Tellus in writing (by post or email) so that Tellus can inquire about the delay with the carrier. An inquiry of the carrier may take 15 to 30 business days. If, during this period, the product is found, it will be forwarded immediately to the recipient's designated address in the order or returned to Tellus. However, if the ordered product is not found by the end of the 30 business days of investigation, Tellus willresend the product at its own expense. If the product is not available in stock, a refund will be issued. All texts, comments, works, illustrations and images reproduced on the website www.tellus-watches.comare under protection of international copyright and intellectual property law. As such and in accordance with the provisions of the Code of Intellectual Property, the contents of this website are for private use only, subject to different or more restrictive provisions of the Code of Intellectual Property. 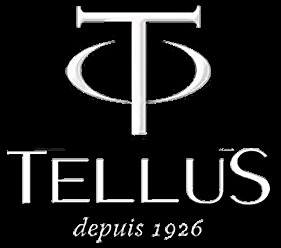 Any, full or partial reproduction of the website www.tellus-watches.comis strictly prohibited. 13.1 - The products offered on the website comply with current French legislation. Tellus cannot be held responsible in the event of non-compliance with country’s legislation where goods are delivered. It is the obligation of the customer to confirm with their local authorities if it is possible to import and use the products or services which they intend to order. 13.2 - Photos are for illustrative purposes only. Please refer to the description of each product to find out its specific characteristics. For more information, do not hesitate to contact us. 13.3 - In the event of hyperlinks to other sites from www.tellus-watches.com, Tellus cannot be held responsible for the content of information on these websites. 13.4 - In the event of B to B purchases, Tellus will not accept the responsibility for any indirect prejudice due to operating loss, loss of profit, loss of opportunity, damages or costs. This contract is a translation from the original contract- “Conditions Générale des Ventes” in French language. In the event of disputes, the French courts shall have the exclusive jurisdiction. Tellus, in collaboration with the Banque Populaire, controls all the orders that have been validated on its site. These controls aim to protect www.tellus-watches.com and the customers from wrongful practices run by fraudsters. If the delivery address is different from the billing address in your order, our service team may need to contact the two entities mentioned; i.e., the one linked to the billing address and the one indicated in the delivery address. Given these procedures, our service team may need to ask you for any information required to unblock your order: proof of address, copy of an identity card or letters proving that the customer is the owner of the credit card. These requests are made by email. Banque Populaire and the entity through whom you make your purchase are the recipients of the data related to your order. Non-transmission of data related to your order prevents its analysis and execution. Banque Populaire reserves the right to report an incident file in case of any occurrence of unpaid invoices due to fraudulent use of a credit card, corresponding to an order placed by the customer. Any false declarations or irregularities may also be subject to a specific treatment. When you enter your bank details, you are directly connected to the secure payment server of the Banque Polulaire . . . (address https:// paiement.systempay.fr). Therefore, Tellus will not know your credit card number and it will not be stored on its server. One of these symbols displayed at the bottom of your browser indicates that all information exchanged with the server of the Banque Populaire are encrypted using the SSL protocol and cannot be intercepted or altered. With Cyberplus payment, you are guaranteed that Tellus is well referenced with the Banque Populaire to perform transactions on the Internet. At the end of the transaction, before returning to the site www.tellus-watches.com, Cyberplus Payment presents an electronic ticket, representing all elements of the payment and the result of the application of bank authorization (transaction accepted or canceled). The dates indicated on the website are the effective dates in the Paris region where the registered office of the company is located. Please take into account that as part of the relocation of an order or a product to any country outside the European Union (EU) territory, you are the importer (or the intra-community buyer) of the products concerned. You are responsible for the custom duties, local taxes, import duties or State taxes in case they are required. You will need to check with the local authorities where you reside about conditions of bringing the products you have ordered into your country and you will need to make any declaration and/or payment to the competent bodies of the country concerned. Furthermore, you will need to check with your local authorities the possibilities of importation and use of the products which you intend to transport. You should also ensure that the manufacturer’s technical specifications comply with the legislation of the country concerned. If you do not follow the laws of the country where you have introduced products, Tellus cannot be held responsible for any breach of law. The sales tax exemption is a choice left to the discretion of the merchant, and is under no obligation to give the benefit of the procedure for export sales. www.tellus-watches.com will not process any requests for tax exemption and refunds. Any request for tax refund will be denied. 18.2 –The return of the watch after repair works is addressed to the delivery address indicated during the order. If the address is not correct or changed, the customer must contact customer service to make the change. All address changes in the customer account is not valid. Whatever the problem with your product, you must attach a copy of the invoice and warranty. 18.3 - All products sold have a manufacturer’s warranty. The terms of the warranty and the length of coverage are valid for two years. All opinions expressed by Users on tellus-watches.com are supervised and moderated by the marketing team. In the event that comments are illegal or unethical (abusive advertising, defamatory comments, insults, comments out of context, etc.) tellus-watches.com reserves the right to cancel or modify the concerned comments.